Rose was sitting in the lounge, smiling while she watched Snuffy playing in a small plastic kiddie pool near the TV. The little elephant was wading through the water inside the blue pool, hoovering up trunkfulls of water and spraying it on her back. Rose giggled when Snuffy meeeed at her when she spied her. "Enjoying yourself, love?" Rose said fondly to the elephant. Just then, the Doctor strolled into the room wearing his usual brown suit. But this time he had a pink tutu around his waist. He stopped by the pool and did a series of ballet moves while Rose watched him with a stone face. He stopped when Snuffy meeed at him. "Hello, Daughter, enjoying the ballet?" he said, leaning over to pat her head. While he did, he farted in Rose's direction. He jerked upright. "Did you see that elephant run through here?" he asked Rose. "Yeah and she turned around and got in there," Rose said, pointing to Snuffy in the pool. "Her? She didn't make that noise. That was a jumbo noise, far beyond her," the Doctor said. The Doctor walked over to Rose and stood in front of her. He parted his legs and waddled up until her legs were between his and the tutu was in her face. Rose kept a straight face while the Doctor stared at her. He then began rotating his hips back and forth, watching while the tutu swished over Rose's face. "I'm not laughing," Rose said, pushing the tutu away from her face. "Oh, but you will. I'm working on a device that will force the laughter from your lips," the Doctor said. "Yeah, I'm terrified, really I am," Rose said dispassionately. "I will go to fetch the device now." The Doctor turned and did an overexaggerated walk towards the door. Snuffy meeeed at him and the Doctor smiled, turned towards her and leaned over to pat her on the head. "You are so cute, everything you do is cute," the Doctor said as Snuffy sniffed his hand. "Not like Hagzilla over there. She's not cute at all." "Neither are you with the poncy tutu on your waist." "Nope, not cute at all," the Doctor said to Snuffy as he gave her another pat on the head. "Well, enjoy your bath, Snuffster, I must bring Rose her doom." "Yeah, really, really scared," Rose said dryly as he left the room. She turned her attention back to the TV while Snuffy bathed herself. Snuffy walked around the pool, splashing water on herself and shooting water at the sides of the plastic pool. Rose smiled when she meeed at her again and she got up and walked over to the pool. She knelt by it, scooping up water with her hand and putting it on Snuffy's back while Snuffy watched her. She put her hand under the water and held it there while she gently urged Snuffy to put her front feet on it. Then she slowly raised her hand and Snuffy's front feet up, giggling when Snuffy meed at her. "So, you're over here now, are you?" Rose sighed when she heard the Doctor. She looked up. He was standing beside her cradling a small black lacquer box under her arm. He was now dressed only in blue boxer shorts with yellow rubber duckies all over them. "Trying to escape, are you?" he said to her. "No, just playing with Snuffy," Rose said with a shrug. "Lies. You're just afraid to admit you fear the Oncoming Storm." Rose snorted at that and poured a bit of water on Snuffy's back. The Doctor knelt down and put the box down beside her. Rose glanced at it. "That's my doom then?" she said to him. "Precisely. Care to guess what it is?" "The box. You're gonna hit me on the head with it." "No!" the Doctor said dramatically. "Open it!" "Why? Is something going to pop out and hit me?" "Open it!" the Doctor said dramatically. Rose sighed. She undid a gold clasp on the side of the box and flipped open the hinged top. She peered in before taking out a black feather and examining it. She gave the Doctor an inquiring look. "Laugh or I'll force you to laugh," he said. "By using a feather on me?" "Do you want such torment?" "Do you want a punch in the face?" Rose said, balling up her fist. "Are you fast enough to hit my face?" 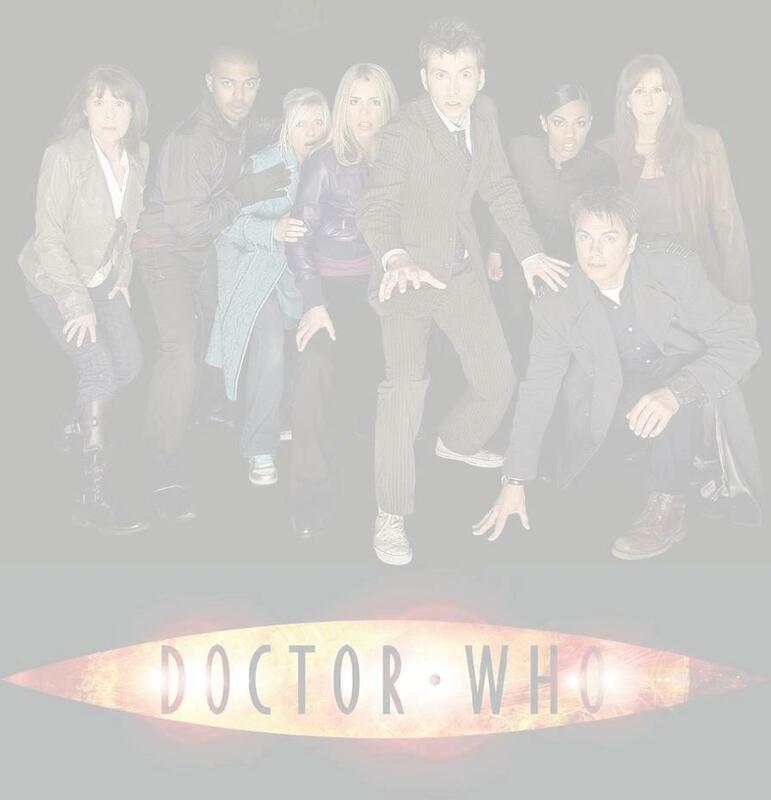 the Doctor teased. "I think so," Rose teased back. The Doctor snorted at that but he pretended to reel back in shock when Rose lightly punched him on the chin. "Oh my God, my neck is broken now," he said, holding the sides of his head. "I'll have to regenerate. Maybe I can regenerate into a mini elephant and be a friend for Snuffles?" He paused when he suddenly realized Rose was laughing and a triumphant grin spread over his face. "I WON!" he said, pointing at her. "YOU'RE LAUGHING!" "Yeah, you won, whatever," Rose said good-naturedly. The Doctor grinned and tickled Snuffy under the chin when she meed at him. "Ahhh, I feel refreshed after my victory," he said with a sigh. "I shall go do other things….and get dressed. I'm a tad chilly now," he said, looking down at his boxer shorts. "Toodles, Rose, until later." She shook her head and smiled when the Doctor whistled cheerfully and left the room.